Hello and thank you once again for joining me down at the crossroads for some music, magick, and Paganism. Where witches gather for the sabbath, offerings are made, pacts are signed for musical fame and we cross paths with today's most influential Pagans, occultists, and deep thinkers. 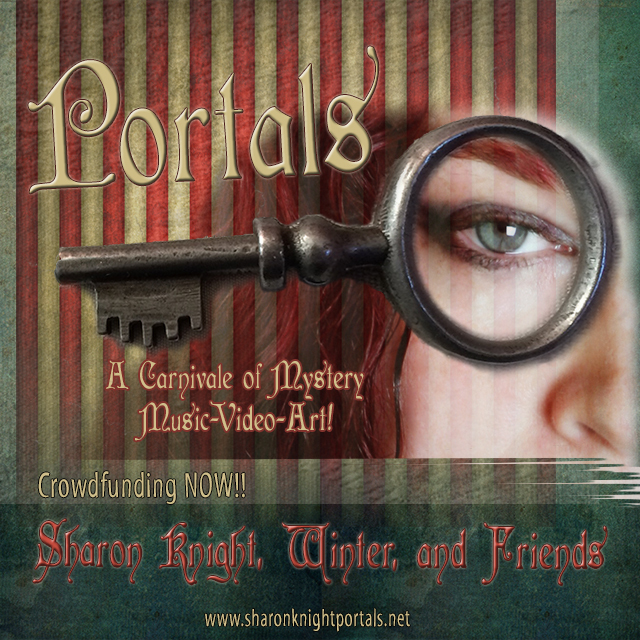 I am your bewitching bald headed host Chris Orapello and tonight, we meet with musician and past guest Sharon Knight to see what she has been up to, but more so to learn about Portals which is her next album that she is crowd funding for that will be featuring all of the artists featured in this episode. Sharon and I have a fun discussion about her up and coming album as well as touching upon her last tour, social media, what she has planned in the future. However, just when you think we have the low down on what she has going on, she hits us with a something really impressive that she has been getting involved with and I won't spoil that for you. You'll just have to hear it for yourself.